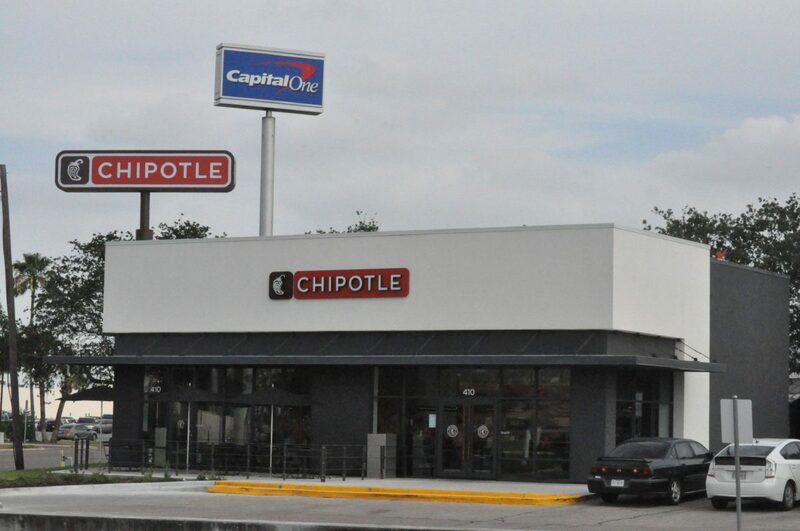 The Chipotle Grill in Harlingen. HARLINGEN — Torti the Tortilla is still dancing on Chipotle Mexican Grill’s website even after the popular burrito business announced customers should review their bank statements and be on alert for fraud. And at the Harlingen Chipotle it was business as usual. Customers shuffled their way to the cash register while others enjoyed their food and employees prepared the popular burritos Valley residents have enjoyed since the fast food restaurant opened at six locations Valleywide. But little did any of the employees or customers know the corporate restaurant food chain had issued a warning notifying customers a security breach had occurred through a cyber attack, and customers should be on alert for potential fraud and should review their bank statements between the dates of March 27 through April 18 for any suspicious activity. In a statement released by Chipotle a cyber attack investigation removed the malware, and Chipotle continues to work with cyber security firms to evaluate ways to enhance its security measures. Chipotle recently provided further information about the cyber attack that focused on the payment card security incident that was previously reported last month. The information comes at the completion of an investigation that involved leading cyber security firms, law enforcement, and the payment card networks. The investigation identified the operation of malware designed to access payment card data from cards used on point-of-sale devices at certain Chipotle restaurants between March 24 and April 18. The malware searched for track data read from the magnetic stripe of a payment card as it was being routed through the point of sale device. Track data sometimes holds cardholder name in addition to card number, expiration date, and internal verification code. There is no indication that other customer information was affected. Chipotle released the list of affected locations and specific time frames on its corporate website. According to the statement issued by Chipotle not all locations were involved, and the specific time frames vary by location. The popular food chain urges customers to remain vigilant to the possibility of fraud by reviewing payment card statements for any unauthorized activity. Chipotle reminded customer on its website to immediately report any unauthorized charges to the card issuer because payment card rules generally provide that cardholders are not responsible for unauthorized charges reported in a timely manner. The phone number to call is usually on the back of your payment card. If customers have questions regarding this incident they can call 888-738-0534.